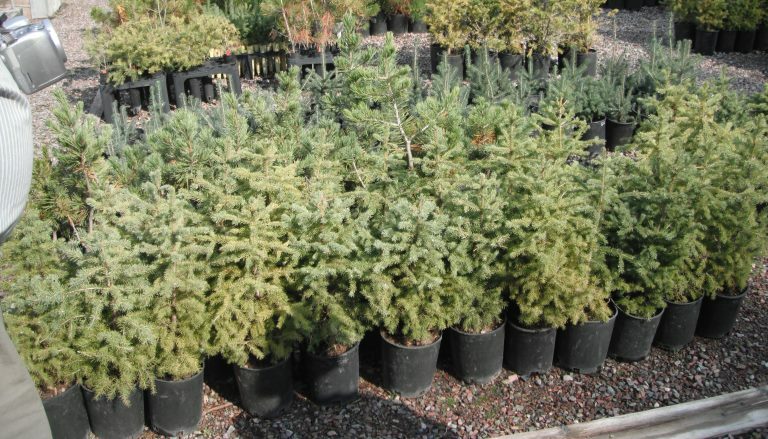 Names: Engelmann Spruce was named after George Engelmann, a St. Louis physician, botanist, and Colorado plant collector, whose botanical collection became the now world-famous Missouri Botanical Gardens in St. Louis.) . 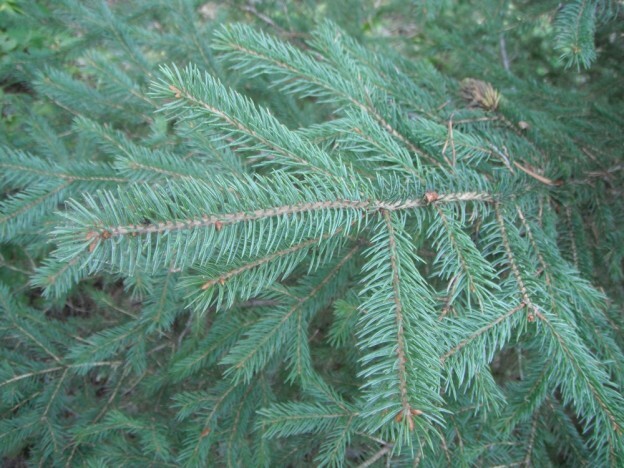 Distribution: Engelmann Spruce is native to British Columbia and Alberta, south to Oregon, Arizona and New Mexico. 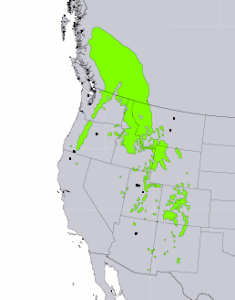 In Washington and Oregon, it is mostly limited to the subalpine forests on the eastern side of the Cascades, with just a few, but some of the biggest in the Olympic Mountains. 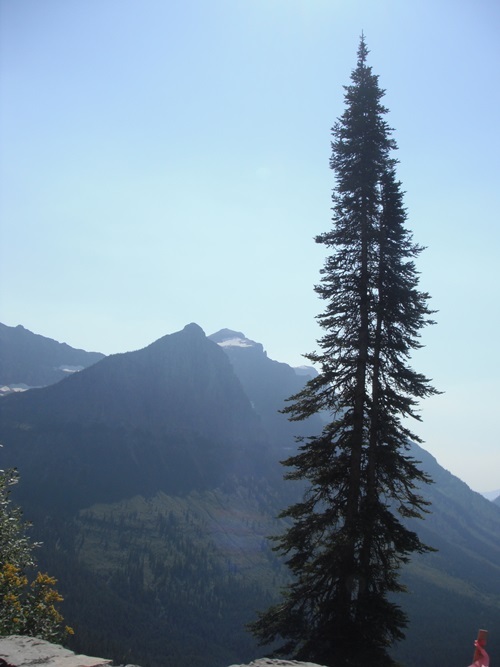 Growth: The largest Engelmann Spruce is along the North Cascade Highway and is over 220 feet (67m) tall! Typically, they only reach 120-150 feet (35-45m). These trees typically live over 400 years. 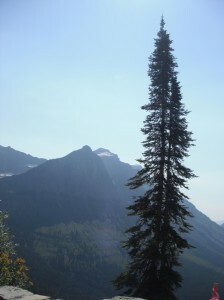 You can find stunted and dwarfed Engelmann Spruces “Krummholz” in subalpine regions. 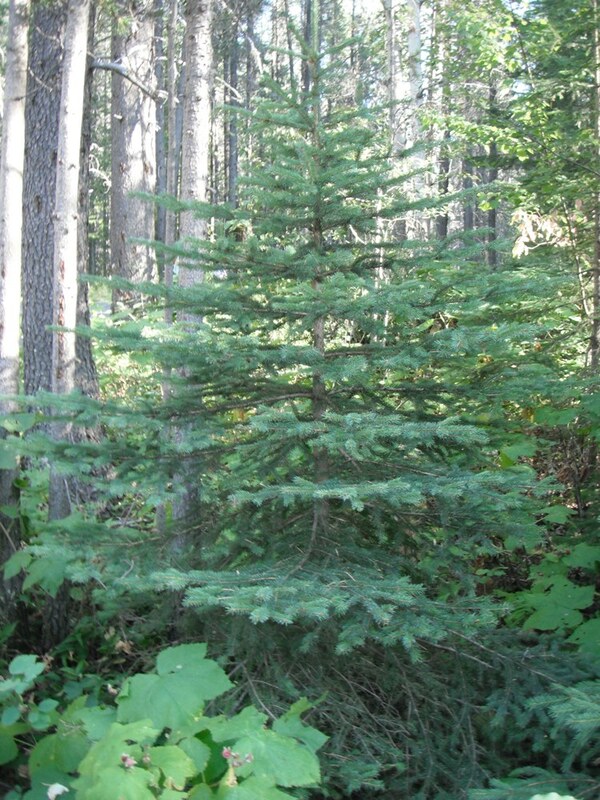 Habitat: Engelmann Spruce is shade tolerant and will grow in a forest understory until a disturbance allows it to replace the canopy species. It also is able to withstand cold temperatures and is often found growing in cold air drainages coming down from the mountains. Diagnostic Characters: Engelmann Spruce can be distinguished from Sitka Spruce by its 4-sided needles that can be felt when rolled between your fingers. 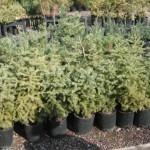 In the landscape: Engelmann Spruce can be used in large-scale plantings, in parks or along highways. Propagation requirements Stored seeds should not be allowed to dry out. Seeds need no stratification and should be planted early in the spring on the surface of a mixed mineral/organic soil. Cuttings from current year’s growth, with a heel of older wood, is most successful when treated with 3000ppm IBA, and stuck into sand. Cuttings may be taken from June to October. Layering is also an option. 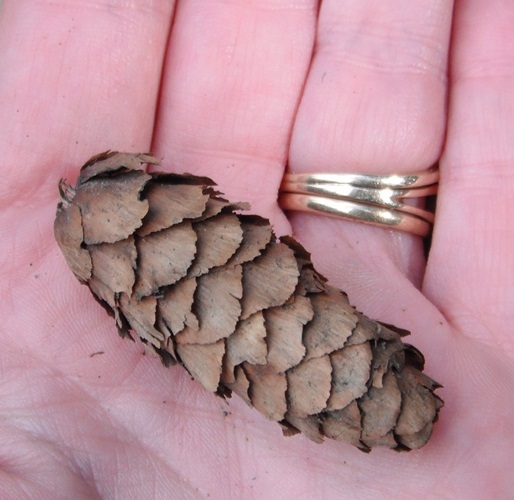 Use by People: The wood is not used much in the Cascades due to its relative scarcity and inaccessibility. In other regions, it is used for high quality lumber and for paper pulp. Natives did not use it much either, because it was not near where they lived or hunted. Trees that are modified by their habitat in the subalpine regions of mountains are given the name “Krummholz” (“crooked tree” in German). The “Krummholz Zone” is the area characterized by these dwarfed and twisted trees just below the Alpine Zone. 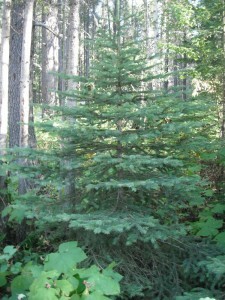 Typical species include Subalpine Fir (Abies lasiocarpa), Mountain Hemlock (Tsuga mertensiana), Whitebark Pine (Pinus albicaulis), Engelmann Spruce (Picea engelmannii), and Subalpine Larch (Larix lyallii). 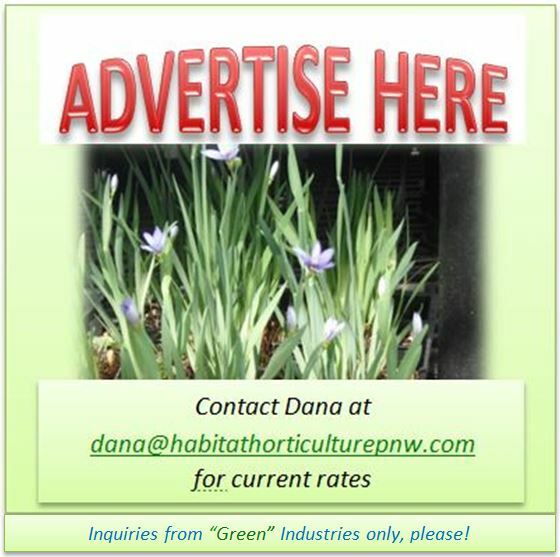 This entry was posted in Conifers on February 19, 2014 by habitatdana.